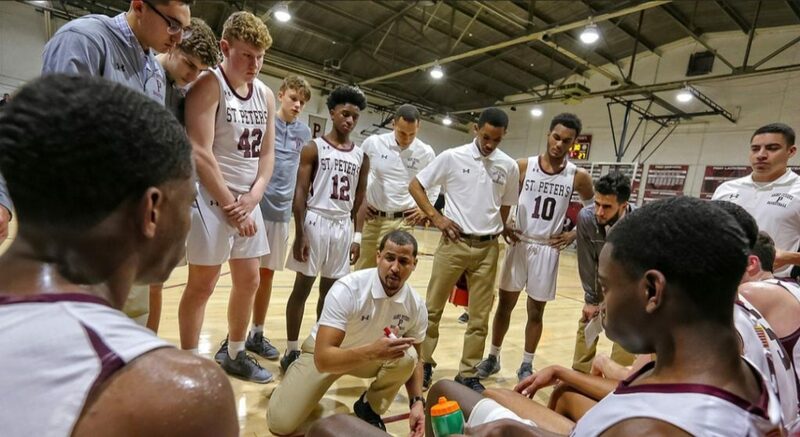 Saint Peter’s Prep Basketball Performance Camp will be held in Prep’s gym, located at the intersection of York & Warren Streets on Prep’s main campus in downtown Jersey City and staffed by Alex Mirabel, Prep’s Head Basketball Coach. The camp is open to all kids in grades 3rd-9th. The camps will run with two, separate sessions. The cost per athlete is $220 per session or $350 for both session. For more information please read below or contact the Athletic Department at 201-547-6450. Take the New Jersey Turnpike to Exit 14C. About one-half mile after the toll booth, exit at “Jersey City/Columbus Drive.” At the bottom of the ramp, go straight through the light and at the end of the next block, bear right onto Columbus Drive. Stay on Columbus Drive for approximately 7/10 of a mile to Marin Blvd. Turn right onto Marin Blvd. and follow this to York Street; turn left onto York Street. Continue up York Street and the gym will be on your right.